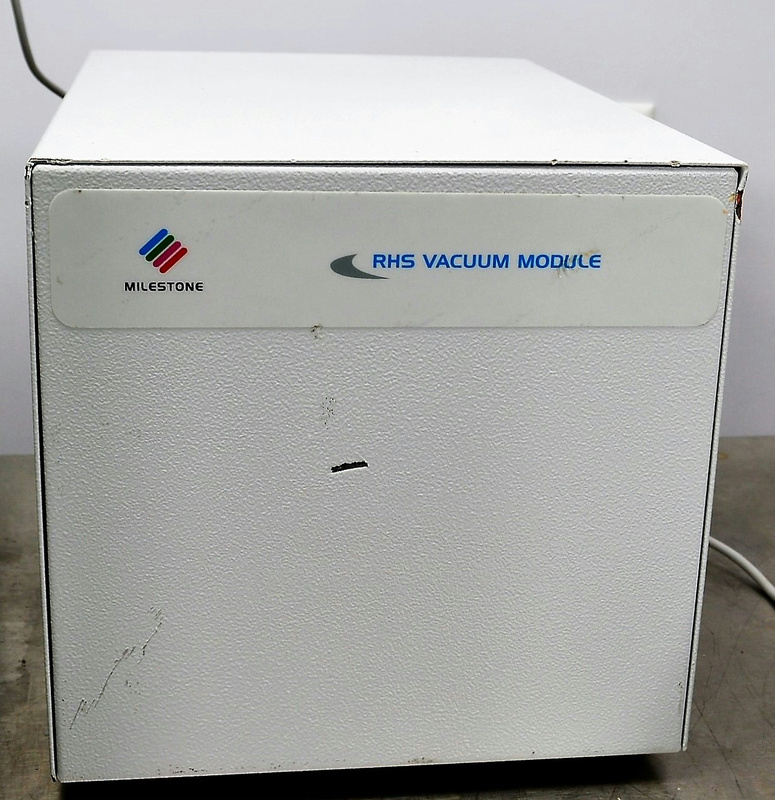 Milestone RHS Vacuum Module Histology Pathology Microwave Tissue Processing . New Life Scientific, Inc. The RHS Vacuum Module was removed from the RHS 1 Tissue Processor System. This vacuum is virtually maintenance free and ready to go whenever you are. New Life Scientific technicians examined the instrument and it is verified to be functional. The technicians powered the unit on, and after multiple examinations were performed on this instrument, the technicians concluded that it is functional. Please contact New Life Scientific and the links provided for more product information. System is incomplete and the buyer will need to get the Processor, M-5 Controller and cables. It is in good working condition and has some minor cosmetic scuffs. System is incomplete and the buyer will need to get the Processor, M-5 Controller and cables. This unit fully-functional and in good condition.